I'm trying to get this car detailed, but the weather isn't cooperating with me. So I'll be doing it in stages it looks like. I'm still doing it in the order that I would recommend doing it. I'll combine all of these into one coherent post after it is all done and put it on my blog for now until I finish the new OCDetails.com site. The old one is really irritating me and the new one looks sooooo much better even without the pictures in it yet. Anyway, here we go. Part 1. First thing I do is the Wheels and Tires. 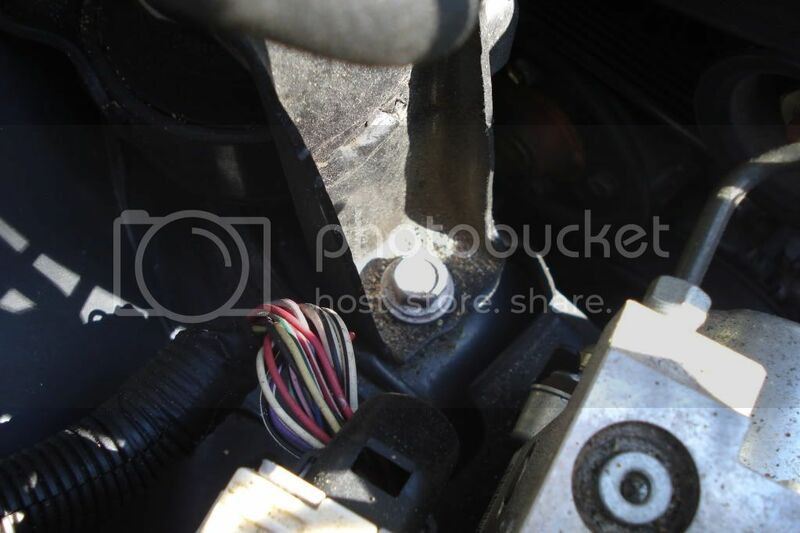 The reason for this is because the second area is the engine and that typically gets the tires wet. 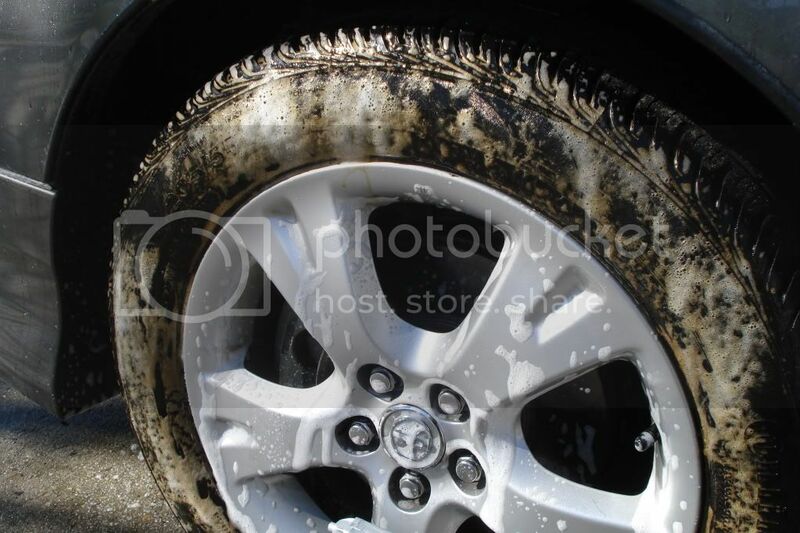 I've found that the products I use work best if the tires are dry, so I do them before I get anything else wet. Eagle1 Wheel & Tire cleaner is one of my favorite products EVAR. I've heard that Mother's has a new one that I'm looking forward to trying, but for now Eagle 1 is it. 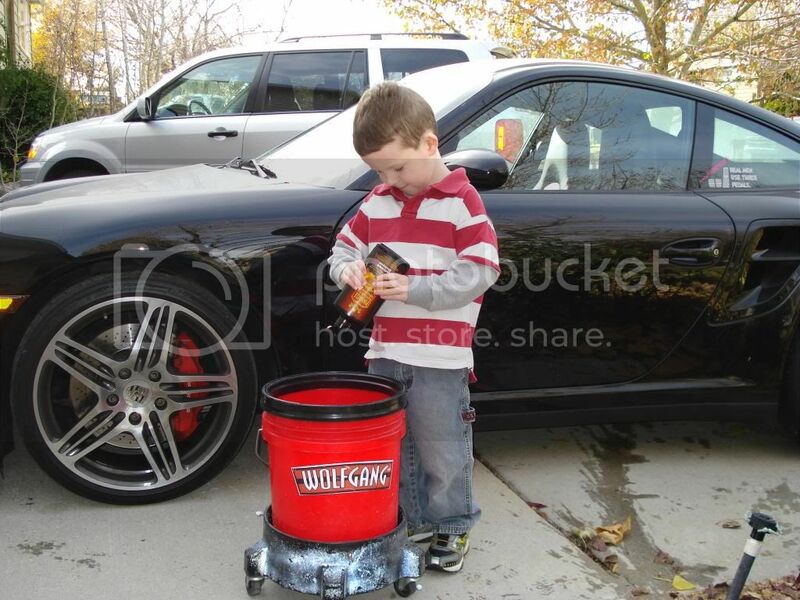 This is a safe product for any type of wheel as long as it is factory coated or painted. If you rattle can sprayed your wheels, then you are using any cleaner at your own risk. I've used this product on $3000 wheels before and it is perfectly safe. Primarily on wheels like that I'll stick to the tires and clean the wheels by hand, but I'm not paranoid that I'll ruin them if some gets on them. 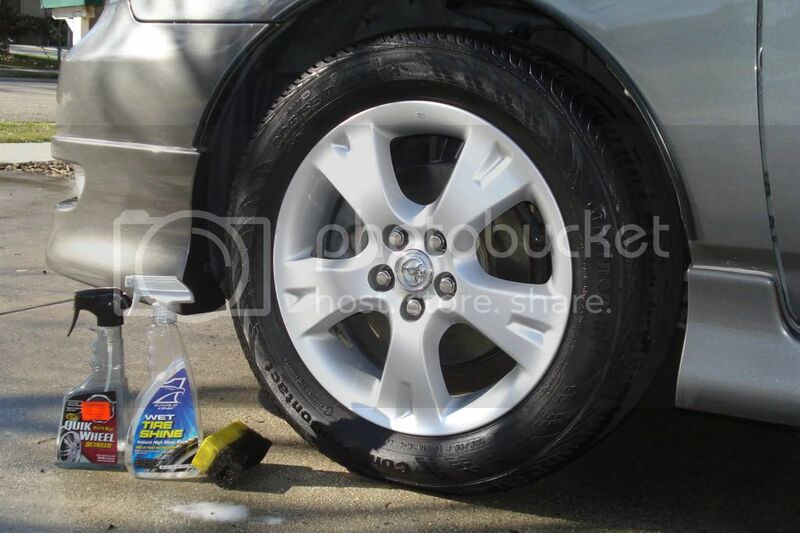 Spray the product around the tire first and then around the wheel. 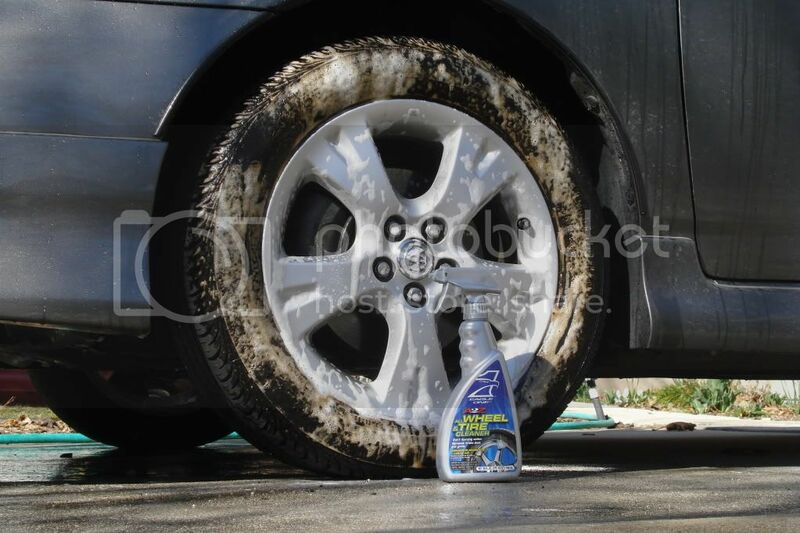 It is best to spray all four wheels/tires first and then go back around to the first one to spray it off. Do this fairly quickly. Especially if you have the sun on one side of your car and it is getting hot. You don't really want to deal with drip spots from this on your tires later. Spray it on and then grab a hose and spray it off. When you see the nasty orange foam dripping down the tires you'll know it is working. Use a good high pressure stream. I'm not talking 900 PSI or anything like that, but whatever you can produce with your thumb or sprayer attachment will work fine. Don't expect the Eagle 1 product to do all the cleaning for you. 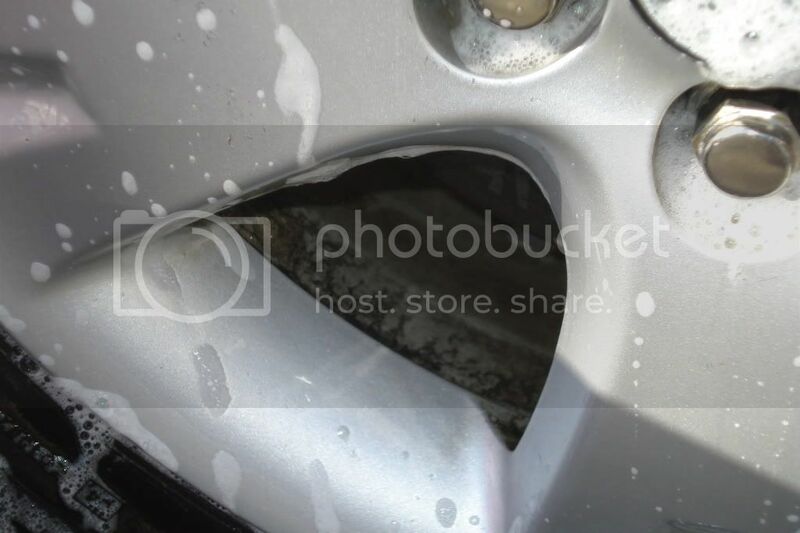 You will still want to brush your wheels to get all of the brake dust off. The Eagle 1 product just got the surface stuff and made it easier to brush. 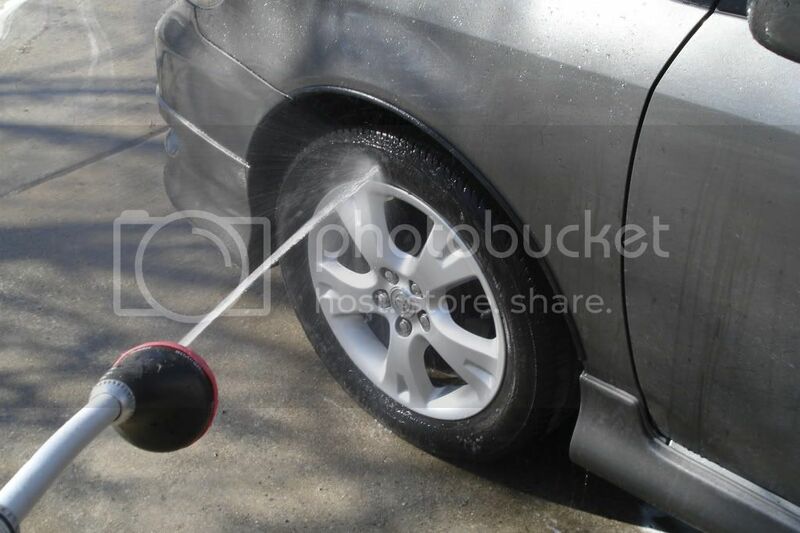 Do this after you have washed the car and then you can use the same wash water without having to fill another bucket up. We'll just pretend I've washed the car and now I'm brushing the wheels. Next you may want to use a wheel brush to get in behind the spokes. I don't typically do this for my car every time, but if someone is paying me to clean their car, then I have to assume they want everything cleaned, so I do. This is a tool I got from Autogeek. It is a brush they had made especially for them. I've used brushes like this in the past, but let me tell you why I use this one. Every bit of this is covered in rubber. Well, at least the bits that matter. The ones I've used in the past are just twisted wire and not covered at all. The bristles are similar to the ones found on automatic car washes. They are very safe on painted wheels, but they will scrub the dirt out. Being able to bend this in a number of ways makes getting wheels clean in a hurry without hurting your fingers or damaging the wheel. That is the most important part. 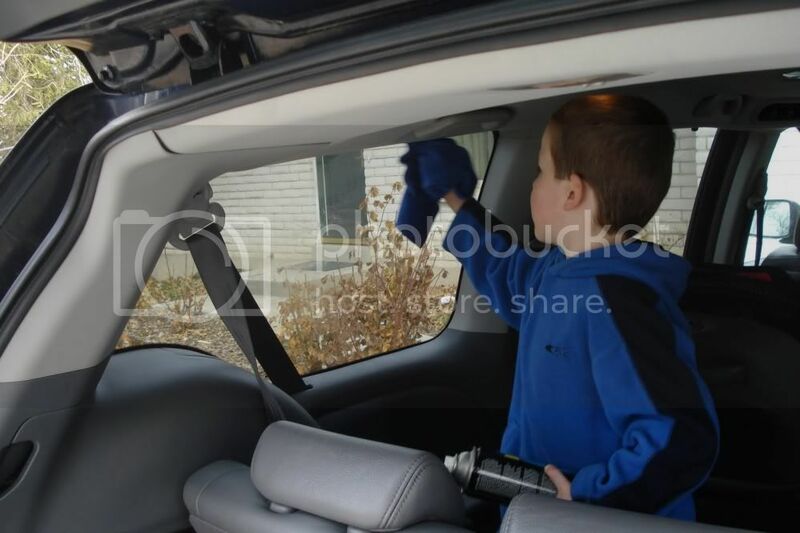 Again, this is a good step to do after you wash the car so you can use the wash water. This could be done in place of using the other brush too if you wanted. It is an either/or/both type thing. So that pretty much does it for the wheels for now. You will want to wait till the end of the detail to dress them. I like to use Eagle 1 Wet for my tire shine. I've found it is best if you apply this when the tires are dry. 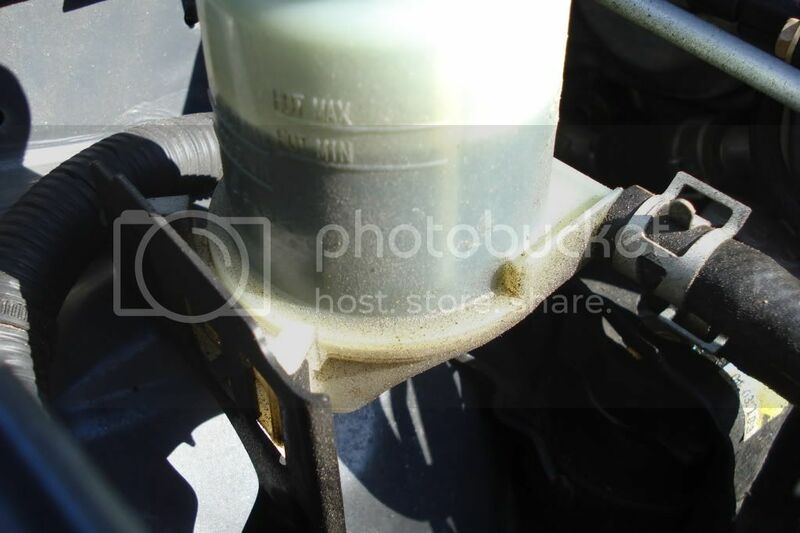 This causes the shine to stay there and not sling all over the fenders. However, for illustration purposes (and because I knew I wouldn't be driving my car again for three days) I dried off the tire and dressed them early. 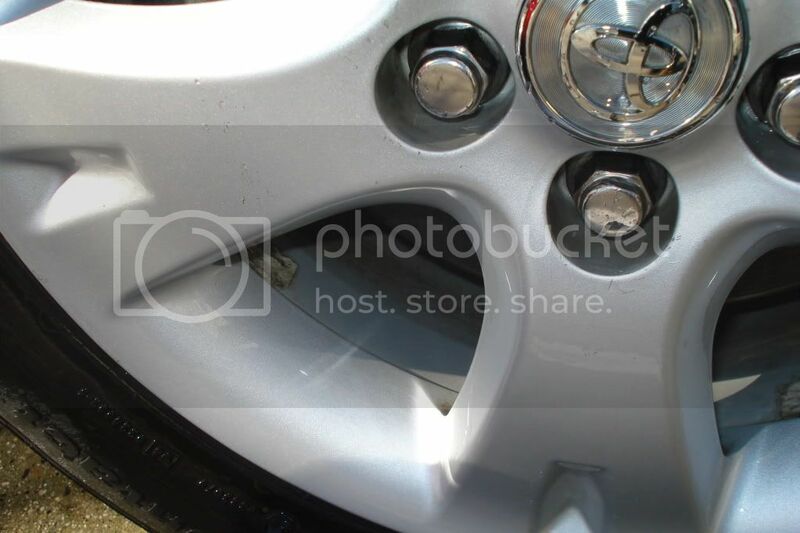 I also used Meguiar's Quick Wheel Detailer to clean up any of the tire shine overspray that got on the wheel. I found this on the discount table at Checker a couple years ago and bought every bottle I could get my hands on. It is a well worth it product. If you don't have any of this, then really any quick detailer will work just fine. I just like using products that are designed for a particular task. I didn't wax them or anything like that, but you can do that if you want. I've found it doesn't really make much of a difference, so I don't waste time on it. On a BMW or high dusting vehicle I would probably use a wheel sealant or just a normal paint sealant, but Corollas (at least mine) don't seem to have that bad of a problem. Alrighty then... 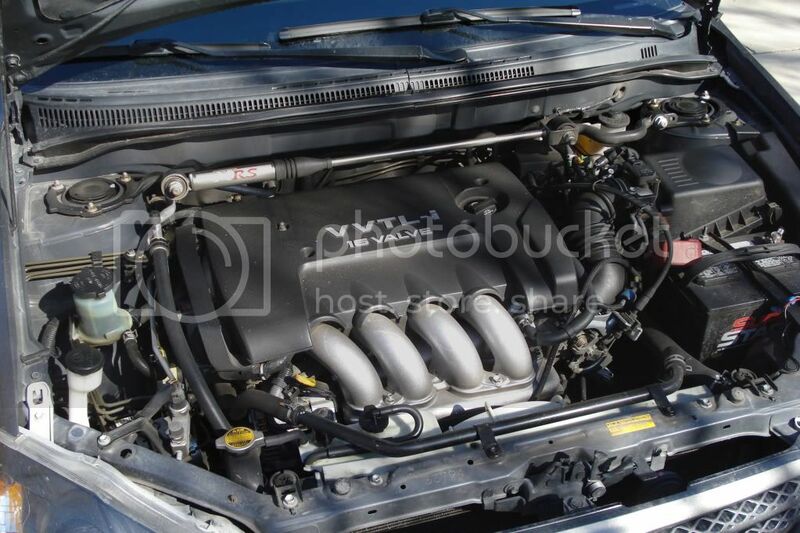 Step 2 is the engine. This was an easy project for me this time because it was mostly just dusty from a long winter of driving. 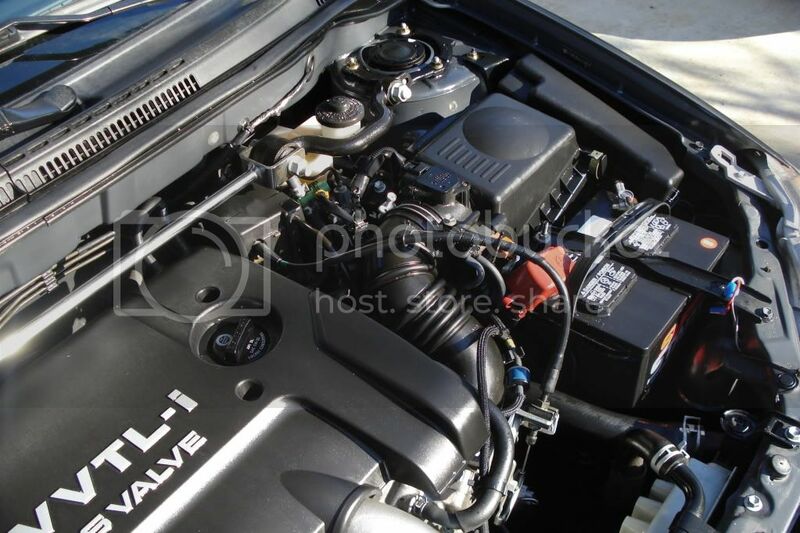 I detailed the engine in the fall, so it wasn't like I was going to have two years of crud built up under it. Your experience may definitely vary from this one, but here is how I did it on this particular engine. So, yeah. Not overly dirty, but there is a lot of dirt in there. This is an easy job that degreaser and a hose will take care of. I'm still going to have to get in there and wipe some things down, but it isn't going to be an hour long project or anything like that. 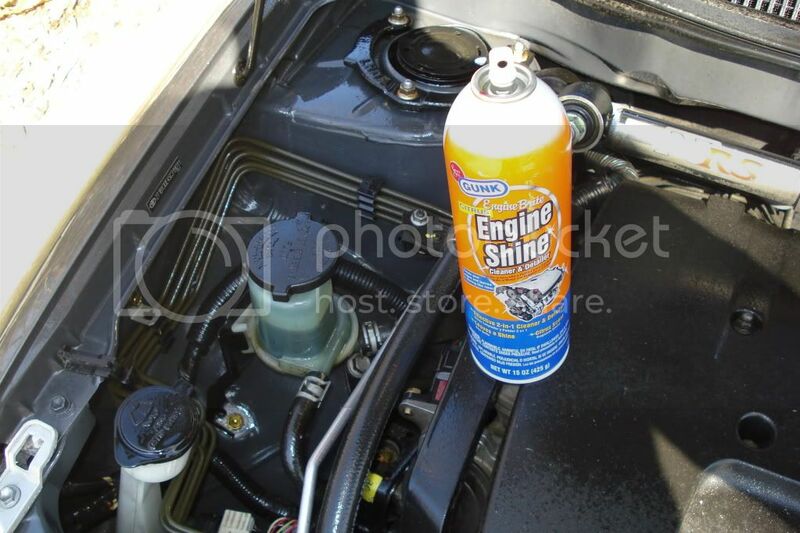 I start by grabbing a bottle of engine degreaser. I typically like to use Gunk Foaming Degreaser, but this particular bottle was on sale at Checker, so I decided to give it a shot. 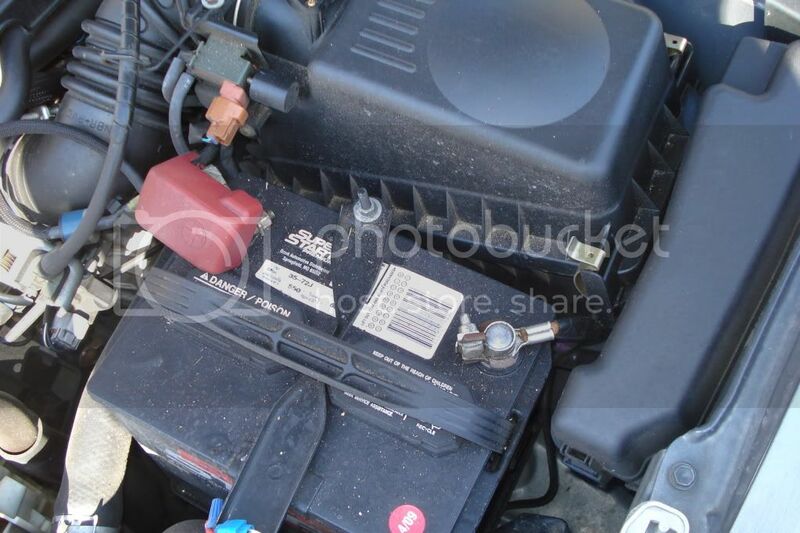 I sprayed down everything except for the alternator (I can't stress enough how important it is to stay away from that area with degreaser) and directly on electrical connections. I just don't like spraying degreaser there. I made sure to get it good and heavy on areas that had a lot of dirt. Around the bolts, the reservoirs, and the strut towers especially. Even the firewall is a good spot to spray down since it can get pretty greasy back there. Now this next part is the easy part. I'm not advocating that you spray down your engine like a wild firefigher trying to put out a 5 alarm fire or anything, but it is ok to use a hose and a little pressure to get the grit out. Just be careful where you are spraying. Don't use high pressure around electrical connections. I used the bucket filler setting on my sprayer and turned down the hose a little so the pressure wasn't too crazy. 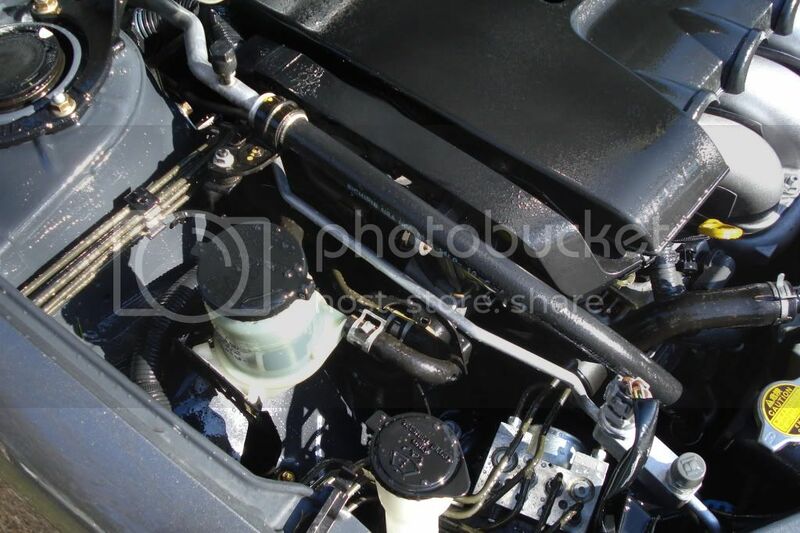 Your engine isn't made of sugar and it isn't going to melt, but you don't really need to get it too wet. Now you can dry the engine off and go for the final step. 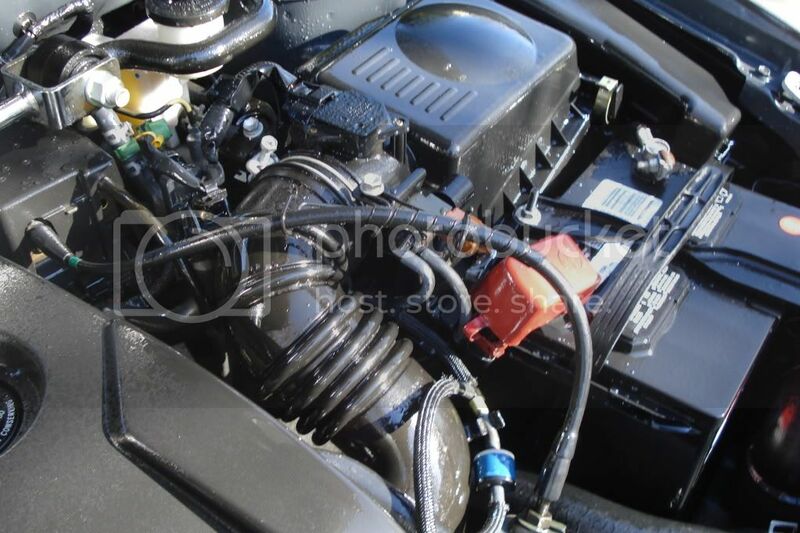 In drying the engine you should wipe down any of the painted surfaces to ensure that they are clean. 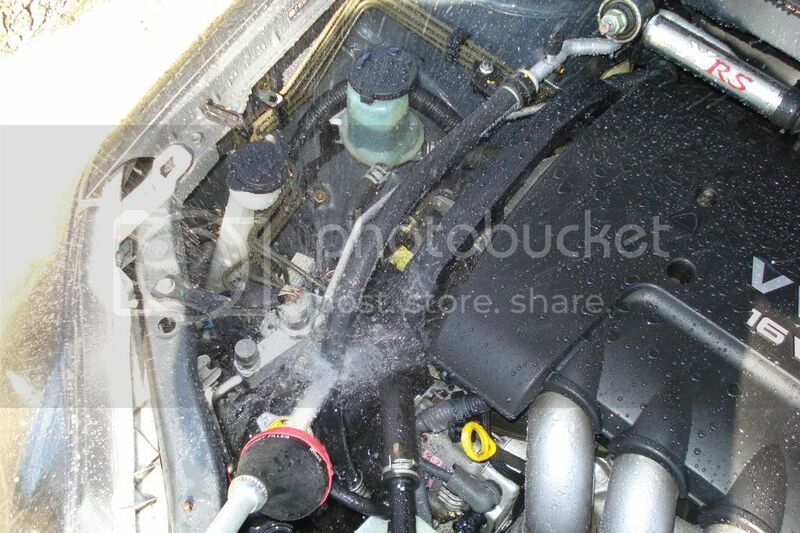 Blot out any standing water on the valve cover or strut towers. Just basically dry it off and remember that you are probably getting it a little cleaner by doing so. Sort of like what you did with the wheels. In fact, that wheel brush is a great tool under the hood too. It gets under hoses and tight spots like a champ. Definitely one of my favorites. 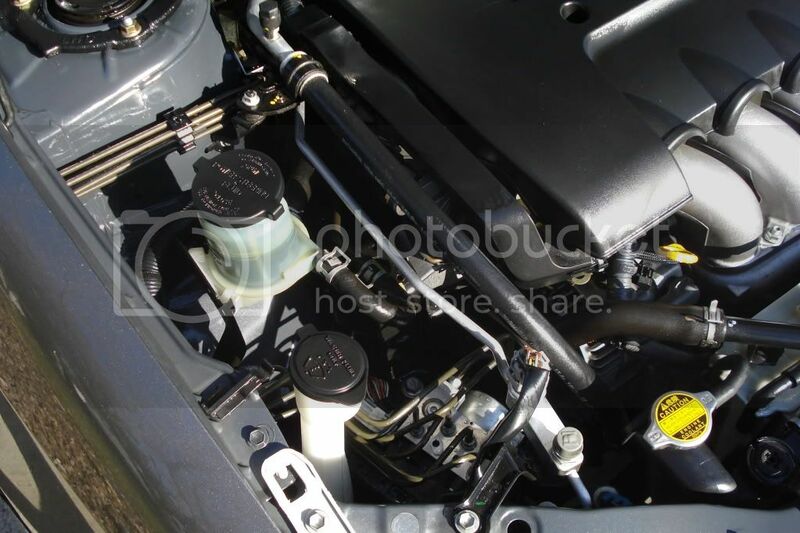 After the engine is dry you can use the CD2 Engine Detailer that I love so much. Spray down anything black, basically. It doesn't need to go on painted areas or metal, but it isn't going to hurt them if you do get it on them. This is designed to make the plastic and rubber parts really shine as well as protect them. This is far above and beyond better than just using tire shine. 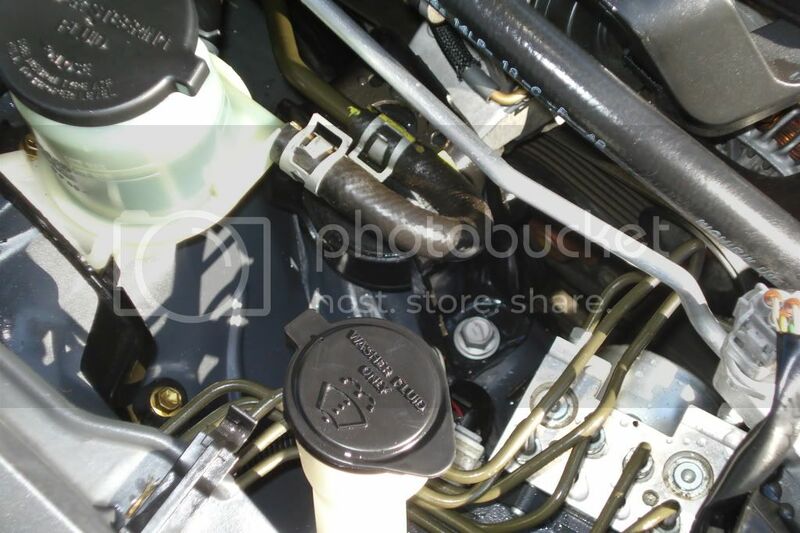 This won't cause your hoses to turn brown or weaken them. It also won't attract dust like mad. I last detailed my engine in October and you can see how much dirt I've attracted in the last 5 months. Trust this product. Don't use the whole can or anything, but get everything nice and soaked. Especially the hoses. Those look really sharp when it is all said and done. 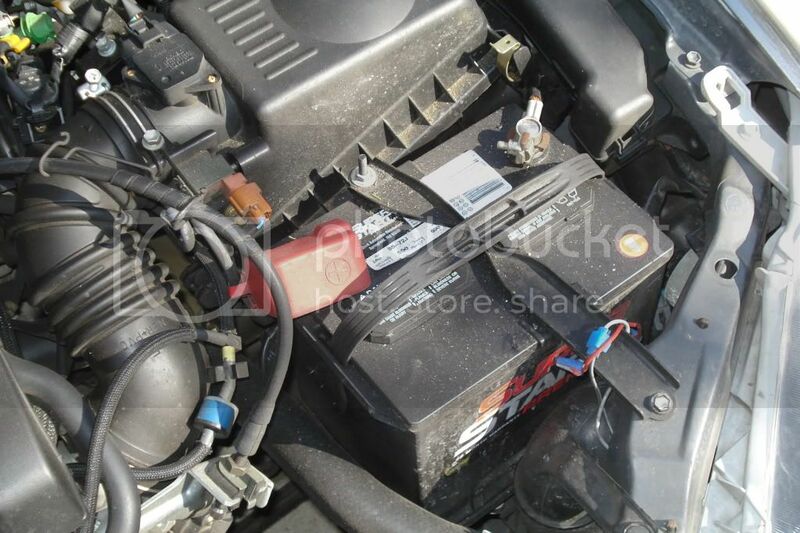 Then just close the hood and start your engine. Let it heat up in there for twenty minutes or so and let the product set. 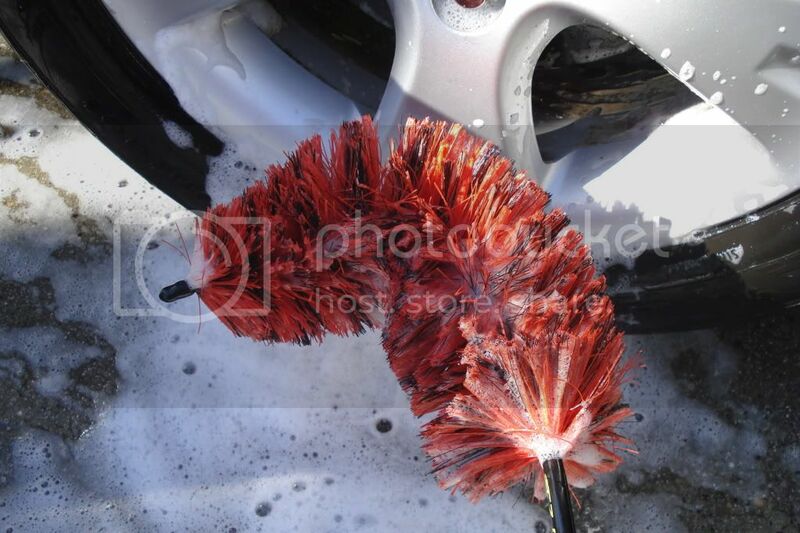 Use this time to either wash the rest of the car or start vacuuming or something. After 20 minutes you can pop the hood and buff everything off. This is when you will start to figure out how much of the product you need to use. If you have a lot of excess that hasn't dried, then you know not to use that much anymore. Wipe down everything with a dry towel. I've got a stack of microfibers that are only for engine detailing. This is a good place to use those t-shirts and shop towels that you don't have any other use for. 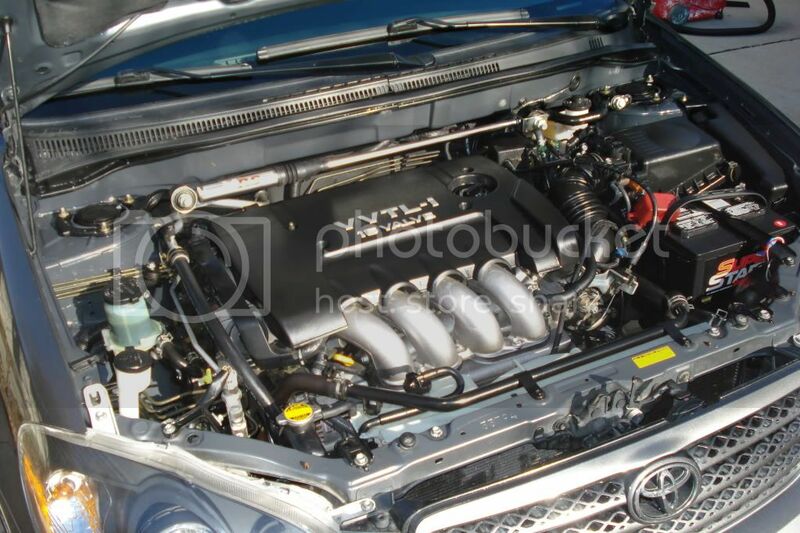 After everything is wiped down then you should be able to stand back and appreciate your factory clean engine. Stay tuned for Part 2 where we talk about washing and clay and hopefully polishing and sealant. I should be able to get all those done in one shot. Part 3 will be about the Interior. It was every businessperson's nightmare. Arriving at Harv's Metro Car Wash in midtown Sacramento Wednesday afternoon were two dark-suited IRS agents demanding payment of delinquent taxes. "They were deadly serious, very aggressive, very condescending," says Harv's owner, Aaron Zeff. The really odd part of this: The letter that was hand-delivered to Zeff's on-site manager showed the amount of money owed to the feds was . . . 4 cents. Now he's trying to figure out how penalties and interest could climb so high on such a small debt. He says he's never been told he owes any taxes or that he's ever incurred any late-payment penalties in the four years he's owned Harv's. In fact, he provided us with an Oct. 22, 2009, letter from the IRS that states Harv's "has filed all required returns and addressed any balances due." IRS spokesman Jesse Weller isn't commenting "due to privacy and disclosure laws." Zeff says he's as offended as much as anything else by what he considers rude behavior by the IRS guys. While at Harv's, he sniffs, "they didn't even get a car wash."
Spring has sprung!! Well, maybe not entirely, but it is above 50 degrees outside and it is perfect for detailing! I've got a Honda Odyssey and a Toyota Corolla that are in desperate need of a good spring cleaning and this is the week it will happen! I have a Poorboy's Sample Kit with pretty much the most commonly used of their product line. I believe I should be able to get the whole Corolla detailed with this kit and this kit alone. I'm going to do the Odyssey with a variety of products, but both vehicles will be fully documented as they are being detailed. Check back this weekend for the results of my labors. Most of us sacrifice so much for our families that we wind up not having much of a social life outside of work and home. I didn't want my hobby to get in the way of family, so I've always made a concentrated effort to include my kids in the process. I've done so since they were itty bitty. 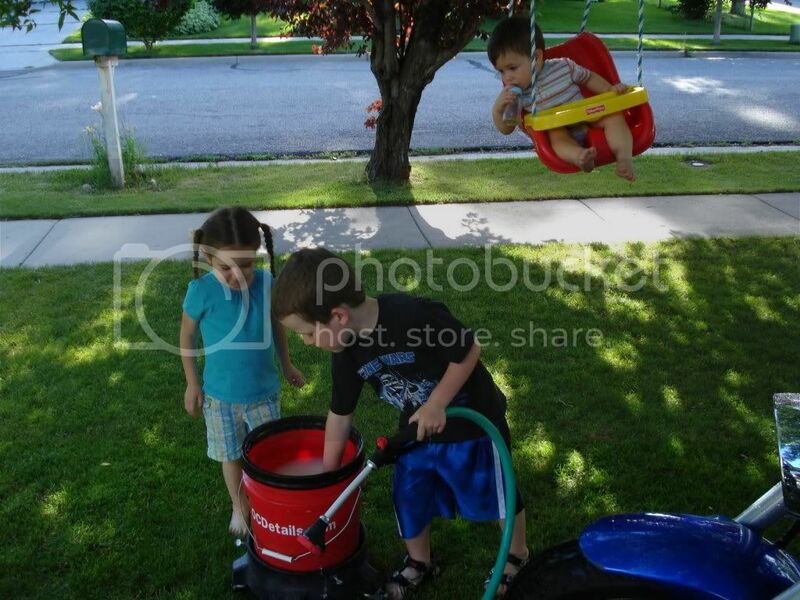 As soon as they were old enough to stand and hold a vacuum hose, I put them to work. 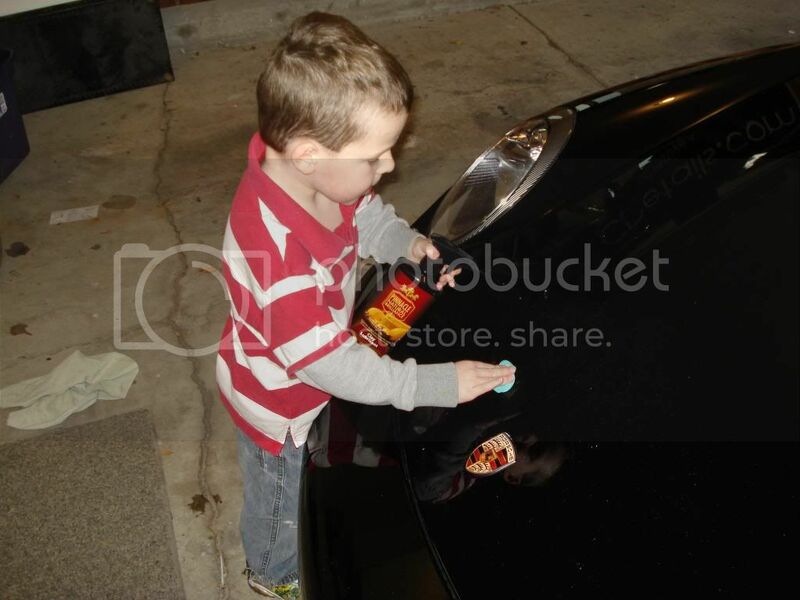 Here are some of my thoughts on how you can include your kids in your detailing obsession. 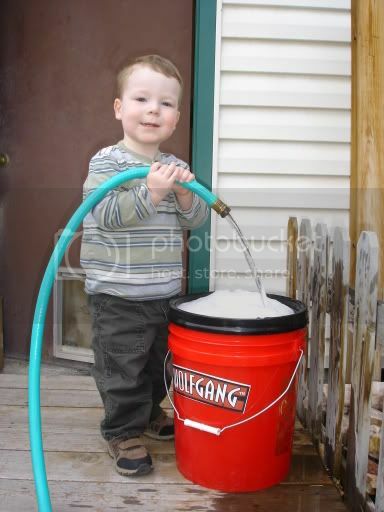 The first job I get my kids started on is filling the bucket. That is something easy that any kid can do. It makes them feel good to make the bubbles. 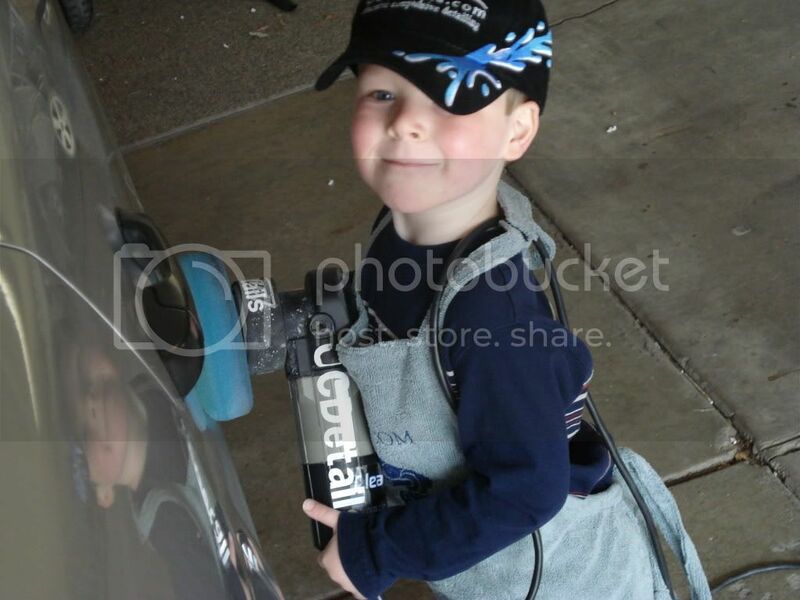 Start them out by just filling it, but as they get older then you can start teaching them about which soap to use for different cars. 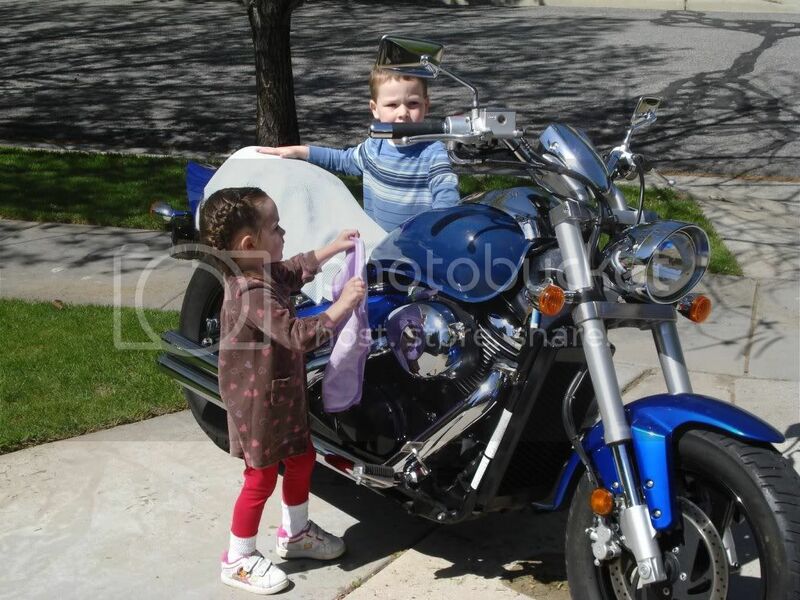 The next easiest thing for little kids to do is wipe down the wheels after you have washed them. Just give them a microfiber and tell them to get the drips off. 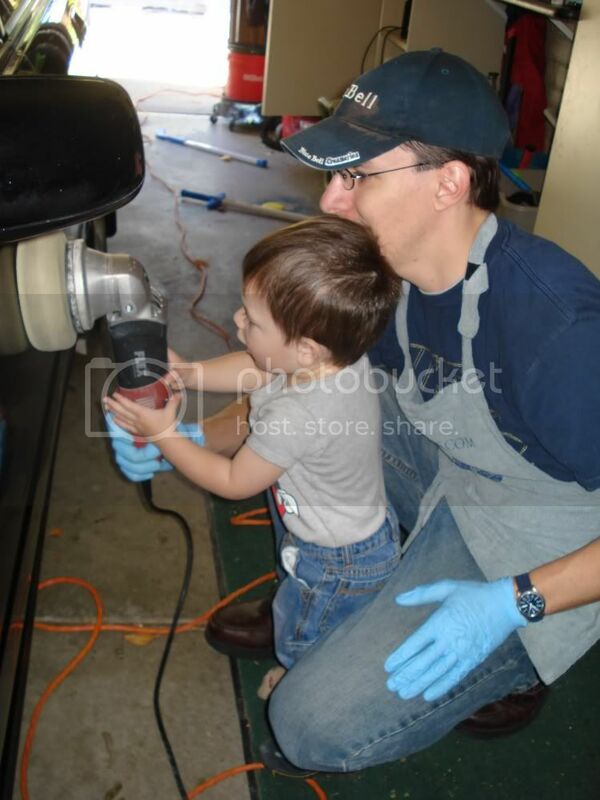 This will train their little fingers to be very detailed as well as getting the experience of wiping things down. 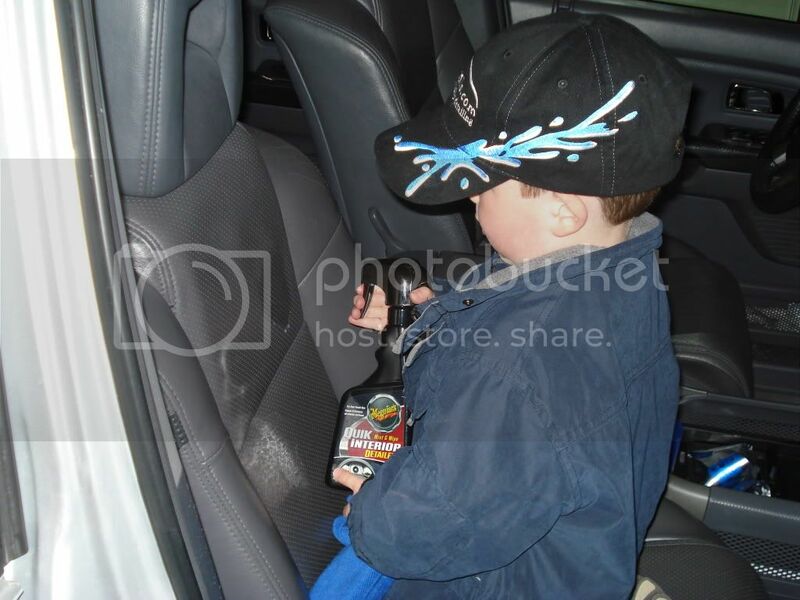 Graduate them from wheels to getting the drips that collect under the rear deck lid and drip out of the gas cap. It saves a lot of time to have them chase those drips around for you. 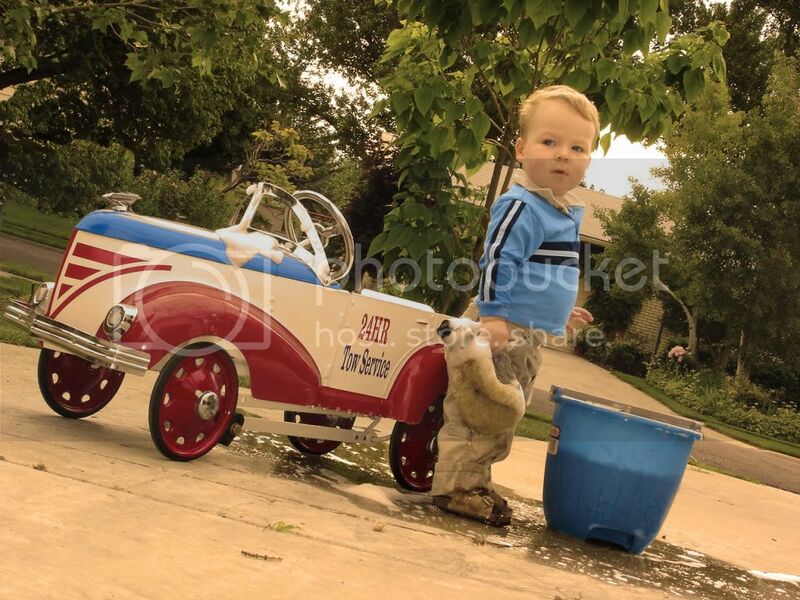 I would normally say to start them on washing the car, but they need to be a little older. 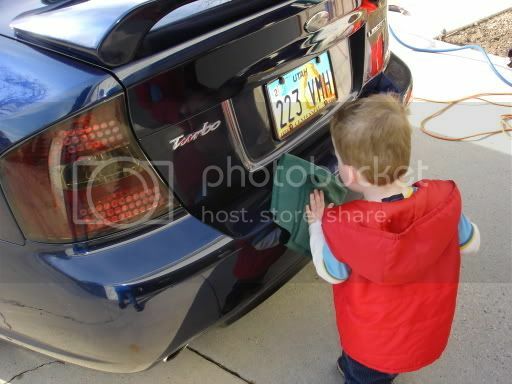 Once they get tall enough, or if you start them when they are four or five, then they can start by washing the bumpers at least. I've found that those are more durable as far as paint goes and there is less chance that they are going to damage anything. Of course, have them get more experience by washing other things too. I've had my boy clay a few bumpers in his day too. Again, because the paint is more durable, I don't worry about him damaging anything. It is great when you have a car with bugs on the bumper or around the fog lights and you just want to keep the little guy busy for awhile. 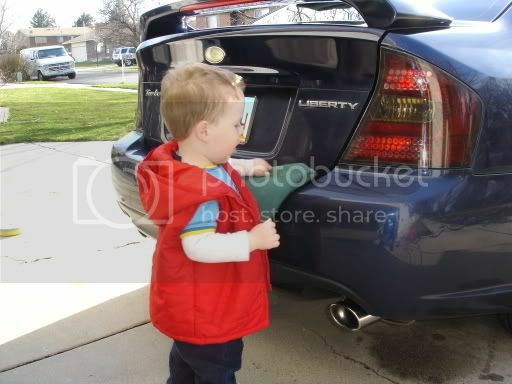 If the car is low enough, you can even start teaching him how to do it right after they get some experience. Before you freak out that I have him working on a $150K Porsche, you should know the owner is a good friend of mine and he was standing there the whole time laughing. 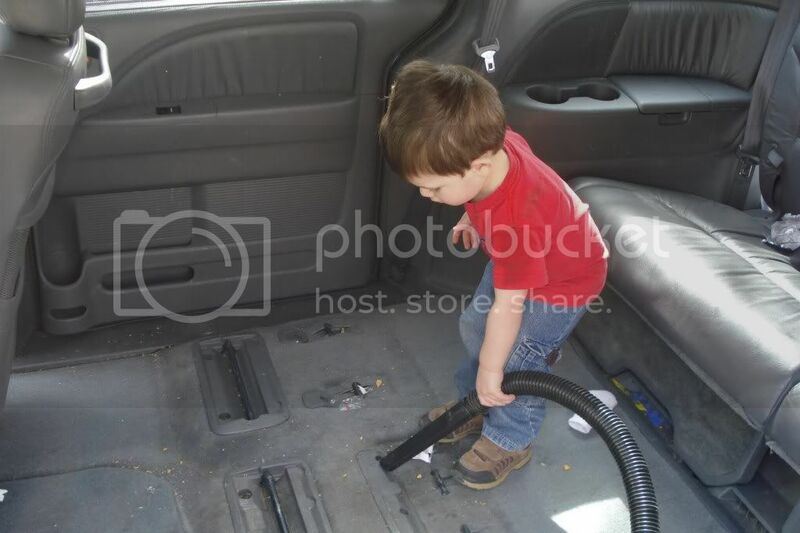 Vacuuming is another great task to start kids out on. 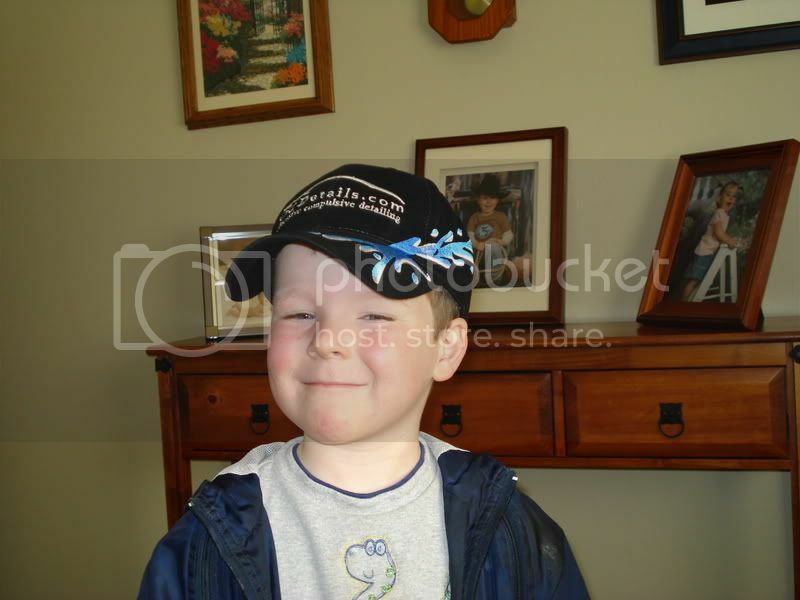 I started Erik out young as did I with his 2 year old brother. They are both expert vacuum operators at this point. Windows are also a good thing, but you'll probably have to go over those again for sure. It is a good thing to have them do since it is their fingerprints all over the place anyway. 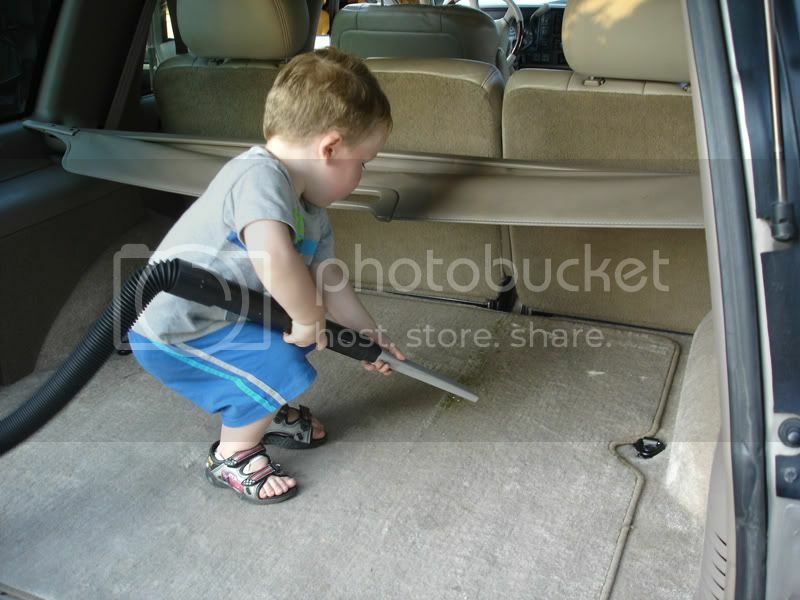 My boy keeps his area of the van much cleaner knowing he is responsible for detailing it if he makes a mess. Waxing by hand is something I'll let my boy do to my bike or on the bumpers, but since he can't reach the entire panel on many cars, I tend to do most of the waxing myself. 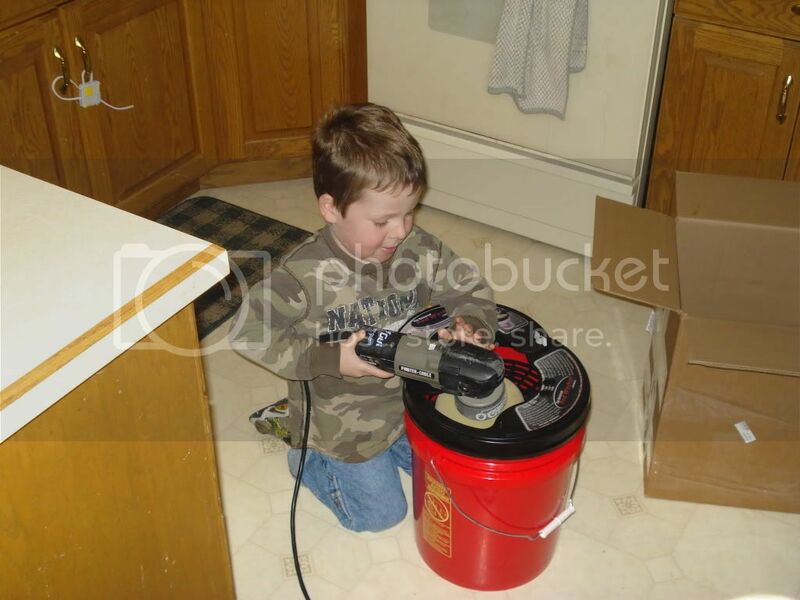 It takes awhile before they can be let loose with a polisher too, but once you have gone this far with them, try talking them out of a turn to hold the machine for a couple minutes. Buffing off the wax is also something they are good at. Erik's job is to go over the car when I am done and make sure I haven't missed any spots. This goes along with their drip spotting tasks. And of course, let's not forget about the cleanup. They love helping put things away. I'm not ready to let them loose on the cleaning of the pads, but Erik figured out the Pad Washer right after I got it out of the box and assembled. 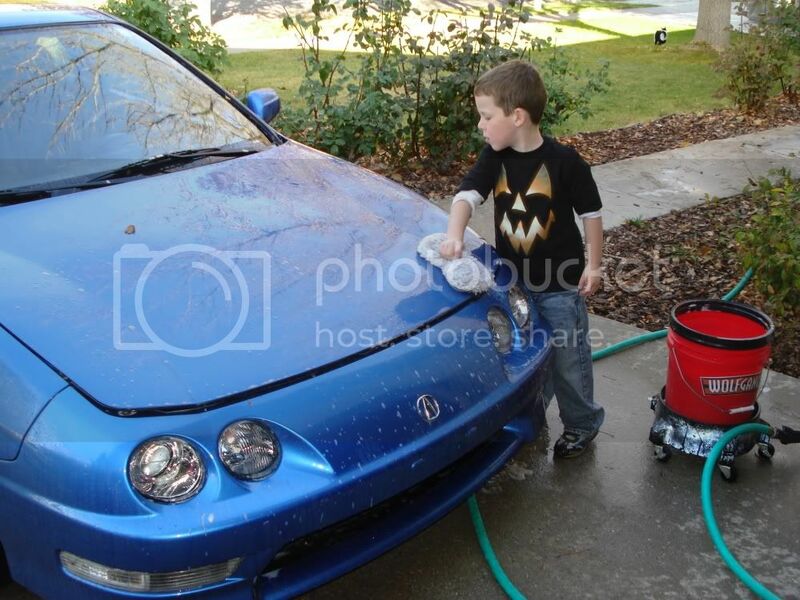 So the point is that you should include your kids in your detailing hobby. Don't necessarily let them run loose in customer cars, but let them help maintain the family fleet. It will teach them more than you realize. Work ethic, cleanliness, team work, and a love for the best darn job in the world! 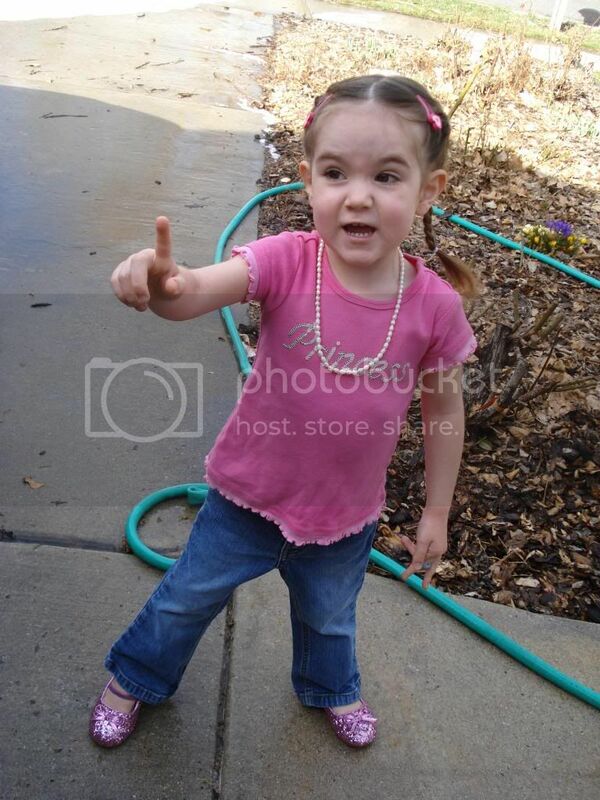 I believe she is reminding us of the virtues of using microfiber instead of t-shirts. 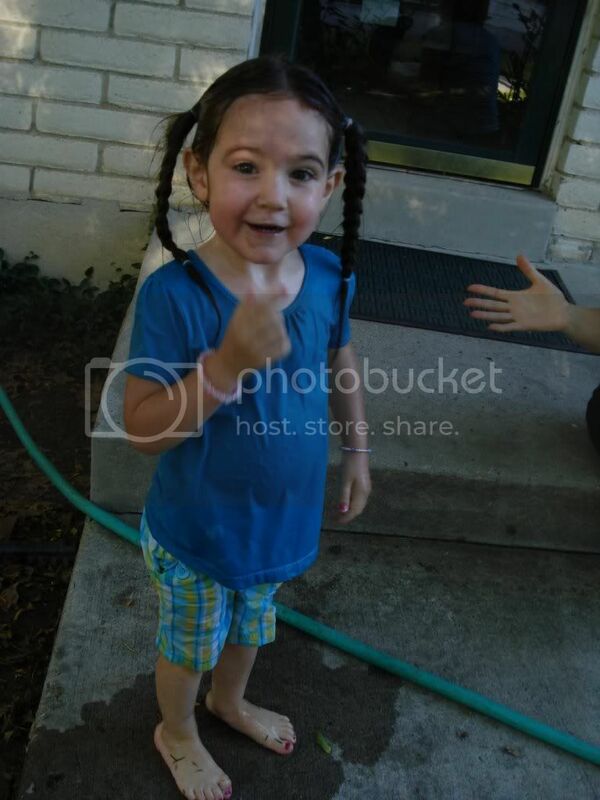 lol Gotta love kids, I tell ya.